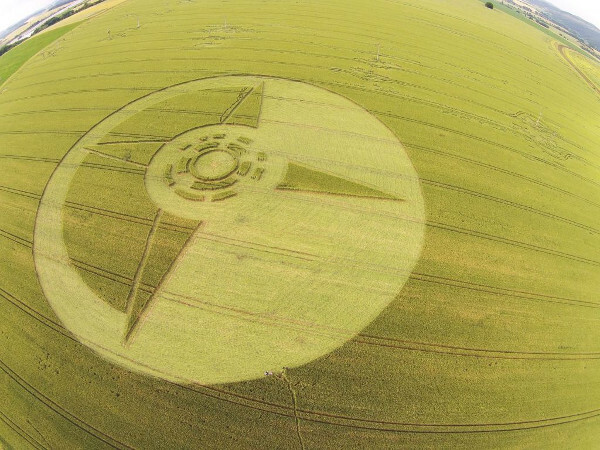 A crop circle appeared in the Czech Republic town of Boskovice on Saturday, June 28. 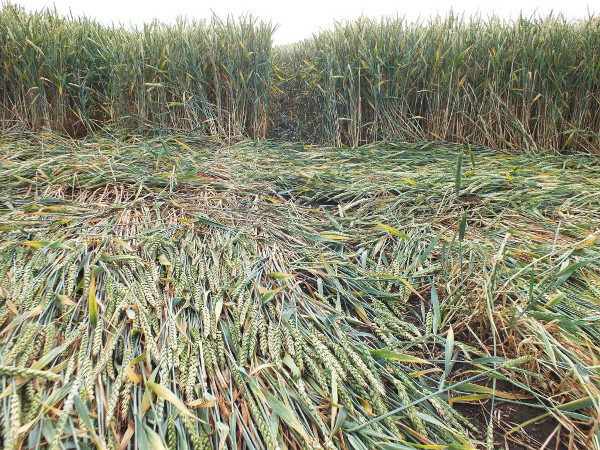 Farmers in England whose fields become targets of crop circles are all too familiar with the frustration of crop circle enthusiasts trampling their fields to observe the formations. That is why a crop circle access pass program was launched last year. This pass program works by granting purchasers of the pass access to participating fields, requiring the pass holders to agree to a set of rules that ensure the respectful use of the farmers’ crops. Participating farmers split the proceeds from the access pass sales. As to the farmer that wants reparations, he could charge $1 for each visitor with a sign saying it’s to repair damage to crops. I’m sure people would not mind paying it for the privilege of visiting the crop circle. This crop circle looks very similar to an overunity devise called the Q.E.G or quantum energy generator. A woman on YouTube named hopegirl587 in touring the globe with a technician who’s name I don’t no. Showing people how to replicate this device that when built and started with provide enough power to run a normal sided home with no outside source of energy input. Ie solar gas electric…… This crop circle resembles the core and copper winding of this device. This guy is an idiot. if an alien has the power to make destruction beautiful or anything insane like this, then rather than getting pissy and trying to make it pay, why not like, back away slowly? my god. dont provoke powerful extraterrestrial beings dumbass. Glad I am not a farmer having my worked destroyed by some wackjob. Having a field ruined by a crop circle is a bit like having a hateful kid running a key along a paintjob on an expensive car.